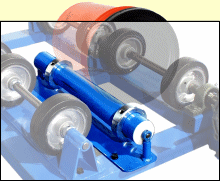 Ergonomic design of Hydra-Lift Drum Rollers allows you to load an upright drum at floor level. Morse Hydra-Lift Drum Rotators lift and roll your closed drum to mix and blend the contents. 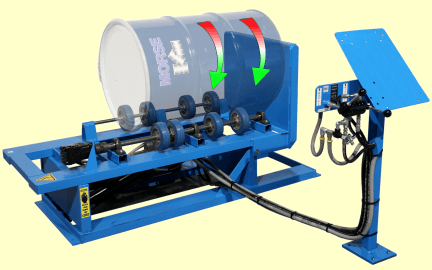 The built-in hydraulic system lifts your drum from floor level and places it quickly and easily for rotation on the drum turner. Morse developed the basic concept to provide "hands-off" drum handling and mixing. 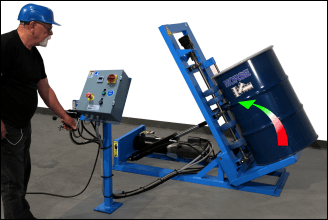 Enjoy the benefits of easy, ergonomic loading and unloading and eliminate many hazards of manual drum handling. 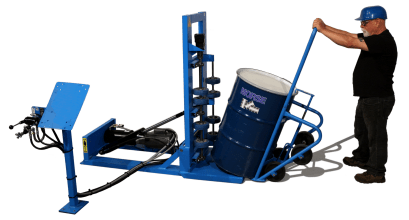 A drum truck provides a simple means to deliver and remove your drum from the drum turner. Model 160 4-Wheel Drum Truck shown here. 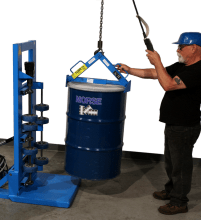 Load your upright drum onto drum turner with a below-hook drum lifter. Morse model 92 Drum Lifter shown here. 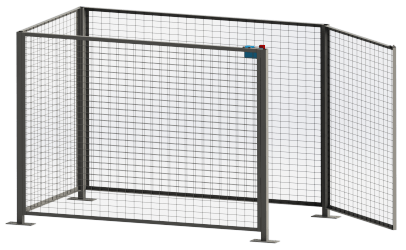 Available with choice of electric motors. Explosion proof motors available (see chart below). Available with air motor as model 456-A. NEMA 4/12 Control Box with Timer, Start and Stop Buttons, Red Emergency Stop Button, Lockable Main Disconnect, and Wire terminals for safety interlock switch. NEMA 7/9 Explosion-Proof Control Box with Start and Stop Buttons, and wire terminals for external connection of safety interlock switch. Per Drum in Lb. Drum Size Range Approx. 5 to 20* 1,000 Lb. (15 to 57 cm) Max. 40"
* Based on a standard 22.5" (57 cm) diameter 55-gallon (210 liter) drum. 50Hz models roll the same drum at 4 to 16 RPM. ** Dry Load Capacity: A shifting dry load exerts greater stress on the drum rotator than the fluid motion of a liquid load. ** Half-Full Drum Rating: A partially full drum with unbalanced and shifting load is harder to tilt than a full drum. Half-full rating is an indication of capacity for tilting an unbalanced, bottom-heavy drum. * ONLY NON-Explosion Proof AC Control Packages include a pre-wired control box. 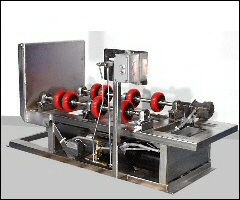 Explosion-Proof Control Packages have no wiring from the NEMA 7/9 control box to the motor. Please consult an electrician to complete the wiring in accordance to your local code. 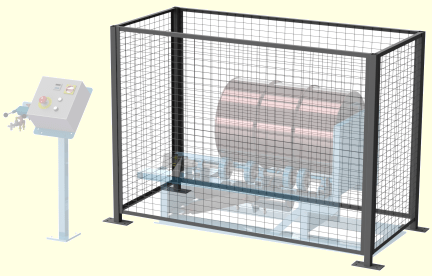 ** Explosion Proof motors are rated for Class I Group D, and Class II Groups F and G.
Morse Drum Rotators - Hydra-Lift Drum Rollers mix and blend ingredients right inside a closed drum.